Want to create traditional style animation? Here's a guide to the best cel animation apps for the iPad pro. Since Apple released the iPad Pro, the App Store has filled up with new tools you can utilize in your animation workflow. So we thought it'd be fun to put together a simple guide to get you acquainted with the best cel animation tools for your frame-by-frame animations. Let's get to it! If you've never heard of the term onion skinning, it's simply a feature that allows you to see transparent versions of the frames before and after your current frame while you animate. It's an essential feature for animation. Because a lot of 'animation' apps in the App Store don't include one of the three features above we omitted them from our list of cel animation apps. The moment you've been waiting for... Here's a short list of our favorite cel animation apps for the iPad Pro. Just a snippet of the tools you can use in Animation Desk. Export as a GIF, video, or Photoshop file (PSD). We experienced a few lagging bugs during our test. Animation Desk is a powerful app, and it's got plenty of features to help you create your frame by frame masterpiece. Not only does it have a mobile version of the software, but you can also download it from the Windows Store for your desktop. You can download a free version of Animation desk, buy it straight from the App Store for $19.99, or enroll in Kdans Creativity 365 subscription. There seems to be an unsung hero among artist using the iPad for traditional style animation. RoughAnimator was developed by an animator, Jacob Kafka, and is available on many different operating systems. Below you will see there is an extensive list of good features. The app costs $4.99 on the App Store, so there isn't a free version to try out but it seems to be scratching an itch for most animators. Animatic is a simple and somewhat limited option, but has a very clean UI and runs solid. You won't be running to this app to make long animations, but it's simplicity helps you create quick animations on the spot with out a fuss. There is an option to upgrade to Animatic Pro for a monthly fee that unlocks better onion skinning options and repeatable frames. A Great Cel Animation Resource? 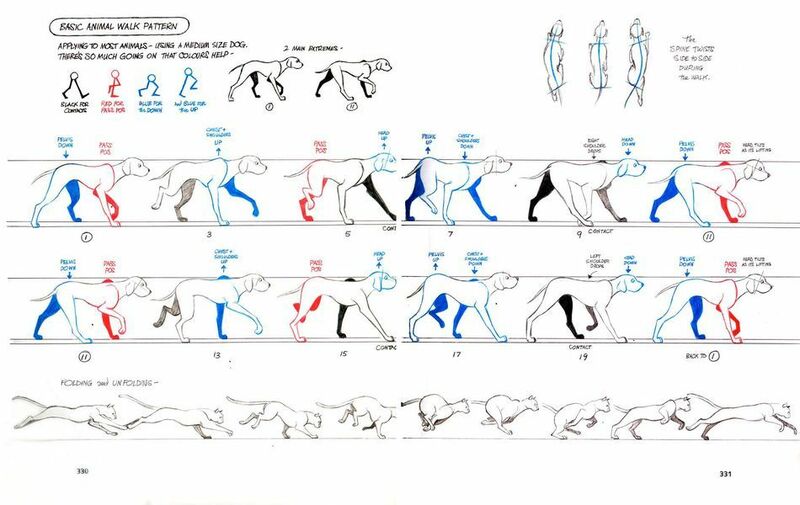 One of our favorite books, The Animators Survival Kit by Richard Williams, takes a deep dive into traditional animation techniques. Williams gives a great look at the pre-production process, how you can properly set-up your scenes, and breaks down the principles of animation. Hopefully you’ve found this article to be helpful. If you want to learn more about the principles of animation check out Animation Bootcamp here on School of Motion. The course is a deep-dive into the principles of what it takes to create life-like movements. We can't wait to see the animations you create with these apps!